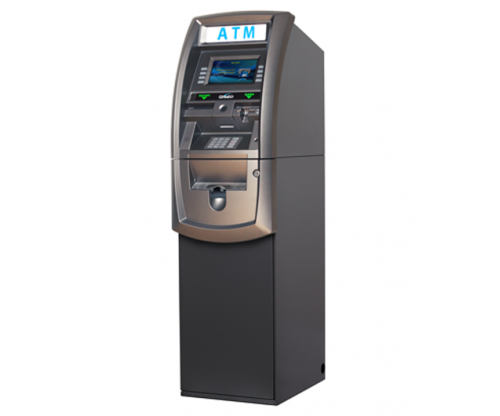 EMV ready and uniquely designed, theG2500 ATM machine has been engineered to stand out in looks and performance. Priced competitively, RocketATM unquestionably stands by this retail ATM machine. The G2500 comes standard with an 8" high resolution wide-screen LCD, which can be upgraded to a 10'2" touch-screen. The receipt printer can also be upgraded to a 3" graphics-capable for custom branding and coupons. The integrated topper can also be paired with a selection of energy-efficient LED toppers to add visual impact and attract customers.